Log in or create an account to redeem your special offer. 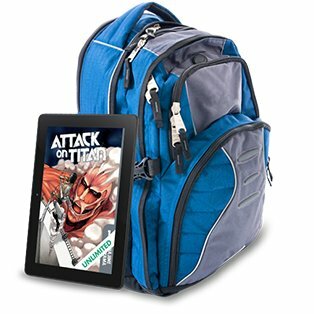 Download comics, graphic novels & manga to all your devices and enjoy reading offline. For promotion codes, please checkout with the shopping cart in order to use your code. Promotion codes cannot be used with Instant Checkout. Gift comics are non-refundable items and cannot be redeemed in exchange any form of monetary value. 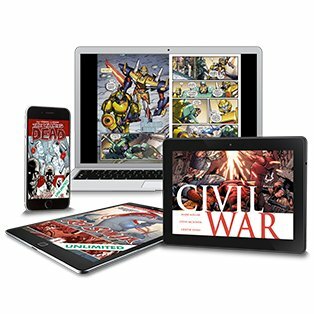 Comics by comiXology is not responsible for any lost of stolen gift comics. Risk of loss passes upon electronic transmission to the recipient where permitted. 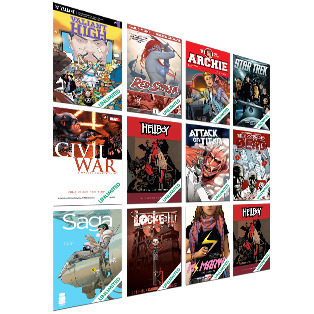 COMICS BY COMIXOLOGY DOES NOT MAKE, AND HEREBY DISCLAIMS, ANY REPRESENTATIONS OR WARRANTIES REGARDING THE GIFT COMICS, WHETHER EXPRESS, IMPLIED OR STATUTORY, INCLUDING (WITHOUT LIMITATION) IMPLIED WARRANTIES OF MERCHANTABILITY, FITNESS FOR A PARTICULAR PURPOSE, TITLE, NON-INFRINGEMENT OF THIRD PARTY RIGHTS OR ANY WARRANTIES ARISING BY COURSE OF DEALING OR CUSTOM OF TRADE. IN THE EVENT THAT A GIFT COMIC CANNOT BE REDEEMED FOR ANY REASON, YOUR (AND THE RECIPIENT\'S) SOLE REMEDY IS TO HAVE A REPLACEMENT GIFT COMIC. SOME JURISDICTIONS DO NOT ALLOW THE EXCLUSION OF CERTAIN WARRANTIES. ACCORDINGLY, SOME OF THE ABOVE EXCLUSIONS MAY NOT APPLY TO YOU. Comics by comiXology reserves the right to change these terms at any time without notice. These terms may be void where prohibited or restricted by law.